A spokesman for the senator said Monday that with attention brought to these two concerns, the political maneuver had “accomplished” its goal and was no longer necessary. The three holds that Sen. Shelby is keeping in place have directly to do with the Alabama-based pork projects that he believes will make him look good to the Alabama voters he will be facing in November. So, in a way, nothing has changed. This brings up a legitimate question: can earmarking abuse sometimes be an agent for smaller government? Few, if any, of President Obama’s appointees will work to decrease the size and scope of government. Now that their path is cleared, they will probably do net harm to taxpayers. This is the nature of government workers, whether Republican or Democratic. 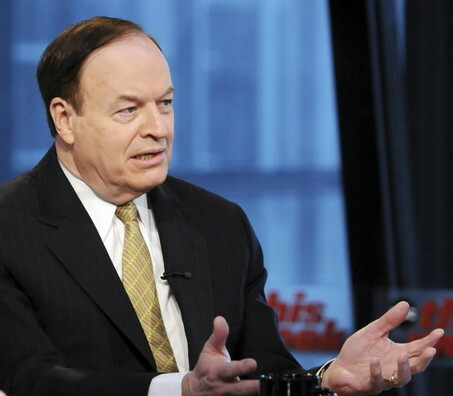 Sen. Shelby’s motive for blocking them is despicable: stealing from taxpayers to improve his re-election prospects. But one wonders if those same taxpayers would have been better off if Sen. Shelby had stuck to his guns. One reason Democrats were so upset about losing their 60th Senate seat was that it would make it easier for Republicans to obstruct legislation. Fair enough. But the revived possibility of a filibuster may turn out to be the least of their worries. 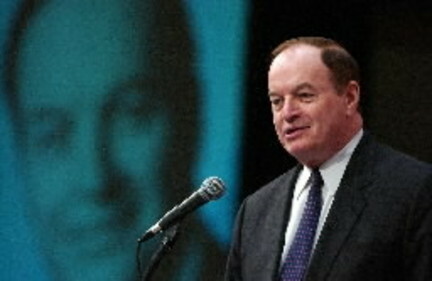 Sen. Richard Shelby, an Alabama Republican, has placed a hold on more than 70 of President Obama’s nominees. His motivations are not partisan. He wants money. A lot of it. If Democrats simply throw a few billion federal dollars at his home state, he promises to release his holds. Basically, Sen. Shelby is requesting a wealth transfer from federal taxpayers – that’s you and me – to politically favored groups in Alabama. Presumably the earmarks would make him look good to Alabama voters. Sen. Shelby is up for re-election this November. Who doesn’t like free goodies? Vote for Shelby! But they aren’t free. The money to pay for them has to come from somewhere – us. Let us mince no words, then. Sen. Shelby is a thief. What a shame that such stealing is perfectly legal. 8:46 Welcome to CEI’s live-blog of the 2010 State of the Union address. President Obama will be touching on all kinds of issues tonight. And I’ll have something to say about them all. But I’ll be paying special attention to what he has to say about regulation and spending. Keep refreshing this post every few minutes for fresh commentary. 8:54 Important people are filing in. Pundits are bloviating. Welcome to Washington. 8:58 Here comes the cabinet. 9:00 Peter Orszag and Christina Romer are there. Romer has done some excellent research on the Great Depression, by the way. Any monetarists out there would find much to like about what she has to say about monetary policy vs. fiscal policy. 9:06 The President enters. Much applause. 9:06 While waiting for the applause to die down, I’ll add that Romer thinks that monetary policy is what drives business cycles. Fiscal policy, such as stimulus spending, has little effect. I largely agree. 9:11 He refers to the Constitution. Heh. 9:12 American exceptionalism. Neocons cheering somewhere, no doubt. 9:13 He inherited a bad situation. True enough. We must act? Not so much. The recession is largely a creation of over-active monetary and regulatory policy. Not a lack of policy. 9:15 He has said both “hope” and “change” already. Campaign 2012 has begun. 9:18 A government that matches our decency? Public choice theory is unknown on Capitol Hill, apparently. 9:18 He hates the bailout. Good! Why did he go through with it, then? 9:18 It was necessary. Unemployment would have doubled. Hyperbole. Now banks know they can continue taking stupid risks and get bailed out for it. 9:19 touts his fee on big banks that received bailouts. 9:20 20 tax cuts. Net tax cuts. While spending goes through the moon. Tax cuts are great, but spending cuts are more important. A tax cut now is a tax increase later if spending isn’t cut to match. An increase. Not a decrease. An increase. 9:22 Many jobs created. Touting the stimulus. Which takes money out of the economy, wastes some of it on bureaucracy, then puts it back into the economy. First instance of the broken window fallacy. 9:23 Anecdotes, people helped by stimulus spending. He sees what is seen. But not what is unseen. Those jobs, and that money, came from somewhere else. Each job created is one lost elsewhere. 9:25 Jobs, jobs, jobs. Bryan Caplan’s make-work bias lives. 9:25 Business creates jobs. Government can help. But only by taking money from somewhere else, and hurting businesses elsewhere. No net effect. 9:27 small business tax credit. Eliminate capital gains tax on small businesses. Nice, but tax code simplification would be better. Lobbyists will be all over this one. 9:28 Rail! It’s the 19th century all over again. 9:29 Clean energy. Higher energy bills for all! 9:29 Keep jobs in America! Efficiency be damned! USA! USA! USA! 9:33 financial reform! For starters. But don’t punish banks. Prevent recklessness. Good. Prevent dumb risks. House has already passed some reform. But lobbyists are all over. 9:34 And they will be as long as Washington is doling out money. 9:34 Plank 2: Innovation and science. More clean energy. More nuclear power. More offshore oil. More biofuels and clean coal. Comprehensive clean energy bil. Cap-and-trade light? 9:36 Consensus on global warming. Jeers from the crowd. Acknowledges doubts, touts clean energy again. 9:37 Plank 3 – trade. More exports! Double them in 5 years = 2 million jobs. National export initiative. Trade, of course, has almost zero effect on the number of jobs. It only affects the kinds of jobs. Also take measures to decrease imports. Renegotiate Doha. Is this a new protectionism? 9:40 4th plank – education. Only reward success. Not failure. Nice. Of course, that would mean less federal involvement in education, not more. Washington has no idea how to educate kids hundreds or thousands of miles away. 9:41 End taxpayer subsidy to banks for college loans. Substitute a tax credit and increase Pell grants. Forgive student loans after 20 years. Why bother paying back, then? This will bode well for future deficits. 9:43 Social Security fix – lend more to homeowners. Yeesh. 9:45 Blames insurance industry for regulatory failures. Emphasis on preventive care; no empirical research is cited for obvious reasons. 9:46 We can save money by spending money. 9:46 Reduce deficit by $1 trillion over 20 years. Last year and this year alone will incur nearly $3 trillion in deficits. 9:47 Temperatures cooling? Oh wait, he’s talking about health care. 9:48 Open to other proposals. Not bloody likely. 9:48 Pass a health care bill, any health care bill. 9:50 Blames Bush for the deficit. Rightly so! Where’s he going with this, though? 9:51 Adding debt was the right thing to do. No mention of “the children” who will ultimately pay for it. 9:51 freeze certain types of discretionary spending for three years. This excludes most spending. 9:52. Save $20 billion this year. Or less than one percent of total spending. 9:53 Bi-partisan fiscal commission. Not exactly the Gramm Commission. Good idea, but beware the execution. Wayne Crews and I have done some research on this. 9:54 Pay-Go budget keeps spending in line. The data say otherwise. 9:54 Oh, the freeze won’t take effect until next year. The crowd laughs. 9:55 Says Bush cut regulations. Actually, he passed more than 30,000. See CEI’s Ten Thousand Commandments study for the exact numbers. 9;56 Deficit of trust in Washington, not just dollars. There’s a reason for that, you know. Two of them are the Republican and Democratic parties. 9:57 Excluded lobbyists from policymaking jobs. That isn’t actually true. 9:58 Doesn’t like the Citizens United decision. Or the First Amendment, for that matter. Wants a new campaign finance regulation bill. Presumably so it can be struck down on First Amendment grounds like the last ones. 9:59 I’m liking what he has to say on earmarks. Good luck to you, sir. 10:00 “can’t wage a perpetual campaign.” Tell that to Organizing for America. 10:01 Partisan politics get in the way of doing things. He’s right. And that’s exactly why I like gridlock. 10:02 Hey Republicans, no filibusters, please. 10:03 Will be talking more to the other side of the aisle. 10:04 Hope again. I haven’t been keeping track, but that’s at least 3. 10:05 Start getting out of Afghanistan in mid-2011. Good! 10:06 Out of Iraq by August. Good! Foreign aid to Iraq. Bad for Iraq! 10:07 Pork for veterans. Taking a page right out of the Gracchi playbook. 10:08 Nuclear deproliferation. I applaud the sentiment, but prohibition doesn’t work. Good luck to you, sir. 10:11 Would love to hear what Bill Easterly has to say about all the government-to-government transfer programs he’s touting. 10:12 Haiti. I completely agree with the ends. But the effectiveness of the means needs to be questioned. 10:13 Hate crimes. Thought crimes? 10:14 Let gays in the military. Nice! About bloody time. 10:14 Immigration. He has a positive view of immigration. Let’s hope that means much-needed liberalization. The more immigrants, the better. Those who are illegal, make them legal. It is the right thing to do. Obama says this is bi-partisan. I wish he was right. 10:16 Decries cynicism. There’s a reason for all that, you know. 10:26 Here comes Bob McDonnell’s Republican response. Get ready to be disappointed! 10:30 Thank yous and much applause. 10:31 Jobs. Jobs for all! Good end. The means? 10:31 So far, indistinguishable from Obama. 10:32 Calls for less taxation, regulation, etc. Quotes Jefferson. Says government is trying to do too much. Now he sounds different. 10:33 Likes Obama’s spending freeze. Says it’s small. Not often one hears a politician calls a spending non-increase anything other than draconian. 10:34 Likes bipartisanship. I like gridlock. Boo! 10:34 Likes the Shadegg health insurance reform. And medical malpractice reform. No specifics, though. 10:35 Energy. More of everything! Why isn;t anyone saying, “let the market decide?” Why must government, no matter the party, pick winners and losers? 10:36 Government energy policy can create jobs. Oh, wait, that costs money and jobs from elsewhere. Broken window fallacy again. 10:37 Education. Likes merit pay and school choice. Nothing about reducing federal involvement in this state and local issue. 10:38 Wars abroad. Daughter served abroad. Laudable. But nothing to do with the merits of nation-building. 10:39 Doesn’t like giving due process to the underwear bomber. Well, he’s probably guilty. Let’s find that out for sure and then punish him accordingly, then! What’s to be gained from denying due process? 10:40 I’m liking his rhetoric about taxes, spending, and regulation. But I’ll believe it when I see it. Which is probably never. 10:41 Haiti. Less than a paragraph. 10:42 Big role for government in creating opportunity. 10:43 One more call for bipartisanship, and a big sop to the Religious Right. An utterly conventional speech. If you thought liberals and conservatives have fundamental philosophical differences, think again. Two sides of the same coin. 10:44 That’s all for tonight. CEI scholars will have more in-depth analysis for you tomorrow. Thanks for reading! My Congressman, Jim Moran, has a penchant for pork; I’d rather he didn’t. The omnibus bill that Congress recently passed contains $53 million of Rep. Moran’s goodies. The list is here. Perhaps “goodies” is a misnomer. Some of the projects are better handled by state and local governments. There’s no need for federal involvement in, say, Gang Prevention Services in Alexandria ($250,000), or restoring the Jones Point Lighthouse ($640,000). $53 million may be less than a rounding error in today’s spending bills — not to mention deficits.. It’s still a lot of money. If it were left in the hands of taxpayers to spend as they see fit, who knows how many jobs would be created? $53 million can support a lot of livelihoods. Instead, Rep. Moran sees pork projects as vote-getters. We’ll never know what might have been. Similar stories are playing out in districts across the country. CEI’s Wayne Crews occasionally bestows “Least Objectionable Legislator” awards when Congress critters do good things. I have two nominations of my own, one Democratic and one Republican. The Democrat is Rep. Jim Cooper of Tennessee. At a previous job I had the opportunity to occasionally work with him and his staff. I found him to be more open-minded than most partisans, and more willing to buck his party leadership when he thinks they are in the wrong. He gets his award for his recent remarks about the stimulus. President Obama wants a “clean” bill, meaning free of earmarks and other trickery; the House version of the stimulus is decidedly unclean. Rep. Cooper has publicly taken Obama’s side, and voted against the bill. Leadership is furious. He is sticking to his guns, possibly at great professional cost. Well done, Rep. Cooper. The Republican nominee is Sen. Tom Coburn of Oklahoma. He has been a thorn in the side of both parties for years. Not only is he adamantly anti-pork, he is crafty enough to use Senate rules to make his point as irksomely as possible. Sen. Coburn also co-sponsored the bi-partisan Federal Funding Accountability and Transparency Act of 2006 with then-Sen. Obama. It created USAspending.gov, which attempts to make it easier for the public to track where federal taxpayer dollars are spent. The stimulus contains the largest earmark ever: $2 billion for FutureGen Industrial Alliance, Inc, of Illinois. Recall that the “Bridge to Nowhere” earmark that led to the end of Sen. Ted Stevens’ career cost barely one tenth that. Sen. Coburn has offered an amendment to eliminate this earmark from the bill. But that’s not all. Another Coburn amendment “would prohibit any funding provided by the stimulus bill to be spent on casinos, museums, golf courses, stadiums, parks, or highway beautification projects.” The stimulus is supposed to create jobs; such projects don’t. Coburn’s amendments usually fail. I expect the same fate of these latest Coburn amendments. But at least he’s trying; most members couldn’t be bothered. Congratulations, Rep. Cooper and Sen. Coburn. Keep up the good work. Maybe President Obama really does believe that he can change Washington. Let us laud his intentions while smiling at his naivete. He’ll learn. His first learning experience is happening right now. 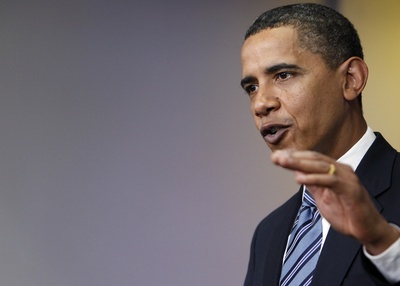 Obama has pledged that his stimulus package would be pork-free. All $825 billion of it. But Washington does not work that way. President Obama’s earmark ban is only one more rule for lobbyists to circumvent; rules are made to be broken. This morning the AP reports that lobbyists are quick learners. Washington’s Iron Triangle works like a balloon. President Obama is pushing down on one end of it. But the amount of air inside stays the same; it simply moves to the other end of the balloon. Obama’s earmark ban may actually have an unintended negative consequence. Earmarks won’t go through the usual channels, where it’s easy to keep an eye on them. They will be forced underground. Less transparent. More secretive. In this case, banning pork could mean more pork. A paradox. But it’s how Congress works. Good luck to you, President Obama, in your fight against earmarks. You’ll need it. Just don’t expect very much to, ahem, change. Nationals Park turns out to have cost more than planned. Not a big surprise. But disappointing all the same. The original figure was $611 million; the final cost is $693 million. Bear in mind that the Nats only paid for $20 million of the $693 million. Not only did they pay less than 3% of construction costs, but they’ve apparently been shirking on their rent, too. Try pulling that with your landlord and see what happens. I won’t. I like having a roof over my head. What a sweetheart deal.